There are normally four stages in the process: pre-treatment, anodising, colouring (where required) and sealing. The most frequent type of anodising is natural anodising. The electrolytic process takes place once the aluminum forging surface has received the appropriate mechanical or chemical pre-treatment and has been thoroughly cleaned. Preparation before anodization includes processes of removing sharp edges, making smooth roughness, leaving certain machining allowance caused by thickness of the coating layer, designing special jigs, and protecting the not required anodizing surface. We can general divide anodization methods for aluminum forgings into hard anodization and soft anodization. Hard anodizing is a thick film anodic oxidation process, which is a special anodized surface treatment process for aluminum forgings as well as other aluminum components. General thickness of hard anodized film is 40-70 um. The surface hardness of aluminum alloy forgings after hard oxidation can reach up to HV500. The oxide film thickness is 25-250um. Strong adhesion. according to the oxidation characteristics generated by hard oxidation: 50% of the oxide film penetrates inside the aluminum forgings and 50% is attached to the surface of aluminum forgings (bidirectional growth). Good insulation: the breakdown voltage can reach 2000V (perfect seal). Non-toxic: Oxidation film and electrochemical process used to produce anodic oxide film should be harmless to human body. Another anodizing method is soft anodizing, similar process with hard anodizing, just more colors and thinner thickness. 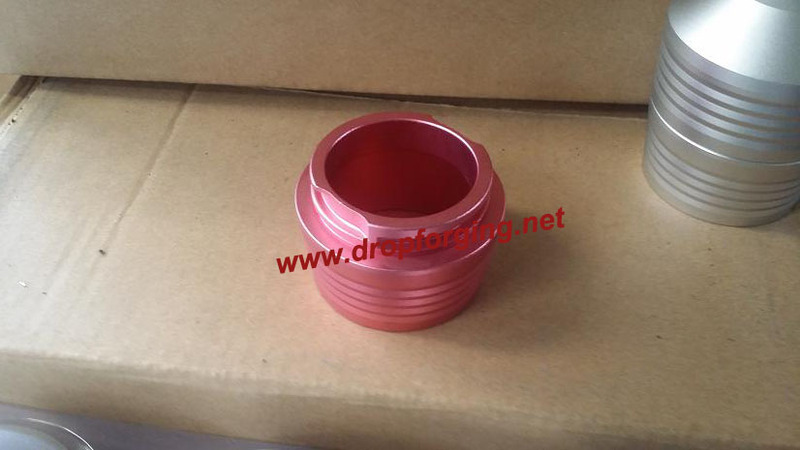 This anodizing method is mainly used for decorative purpose. Common oxidation film thickness of soft anodizing treatment is 8 -- 12 um. And a lower hardness HV250-350 can be obtained. 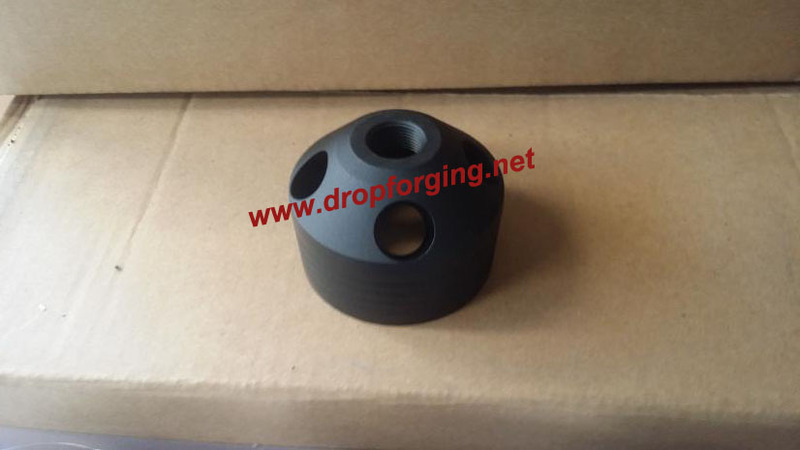 If you have aluminum forgings requiring anodization treatment, please contact us.